Easily import data or records from an Excel spreadsheet into a SharePoint list. 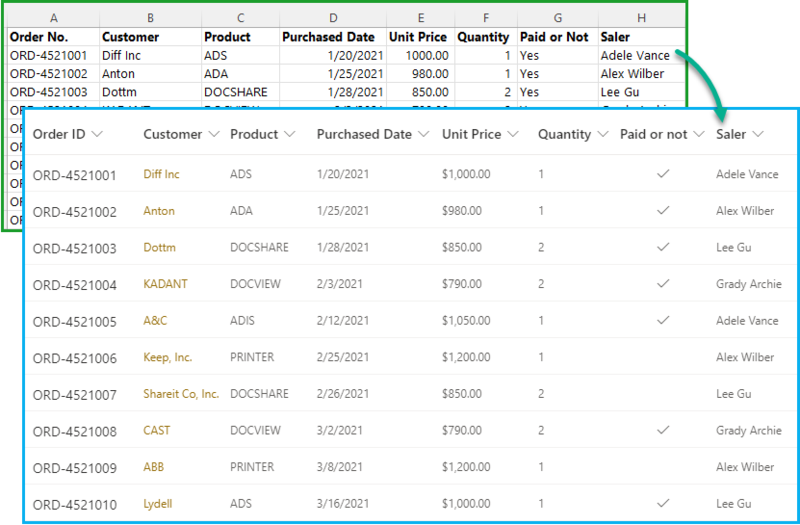 Excel Import App enables users to import data from an Excel spreadsheet file into a SharePoint list. If you have a large Excel file with many worksheets inside, you can also import specific sheet into SharePoint list, one at a time. 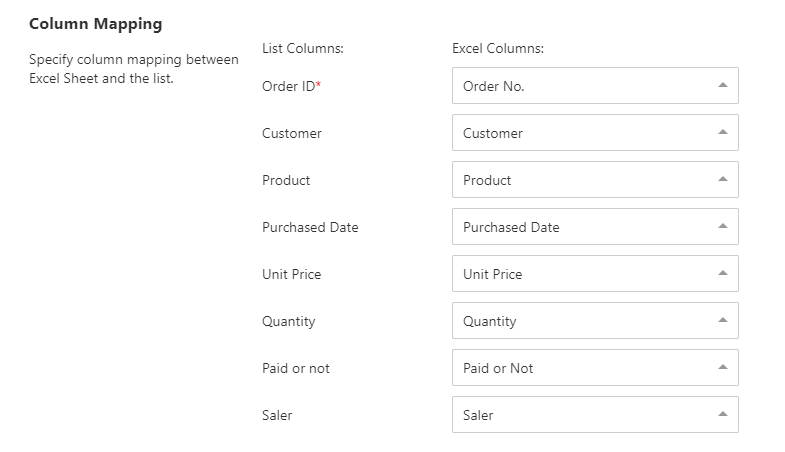 With the column mapping feature, users can configure how to import the data to the SharePoint list efficiently by mapping excel columns to list columns. Even better, the feature will automatically map the Excel columns to the SharePoint list columns if they have the same names; or, SharePoint users can map the columns manually. Users can optionally import all records from Excel into a SharePoint list, or only import specific rows with the filter function.